These materials will show you how to get the most out of your Outlook calendar, from making appointments and scheduling meetings to color-coding your calendar and creating a group. We'll also cover sharing calendars, working with time zones, adding recurring events, and creating a personal calendar.  These materials are designed specifically for staff, faculty, or graduate students who have an Outlook Exchange account at Indiana University. For a more in-depth look at the content of Outlook: Calendar Essentials, view the title contents below. This course is part of an IT Training Certificate Series, which awards a certificate on successful completion of a final online exam. Learn more about the Office Productivity Certificate Series. Learn about the Outlook Calendar Essentials course. Use a combination of hands-on exercises and video to learn about different types of calendar entries, reminders, the Show Time As field, and various ways to create an appointment. Use video content to see how to schedule and modify all-day and recurring events. Explore various ways to work with other people's schedules, including viewing free and busy times and viewing non-consecutive days. See how to create and use a calendar group, how to invite non-exchange users to a meeting, and how to selected required and optional meeting attendees. Watch a video about various ways to accept a meeting request. Explore various Outlook options, including default work time and default reminders, in this video. Watch a video demonstration about how to add a time zone and schedule meetings in different time zones. Explore how to categorize calendar items. Explore how to assign calendar permissions and how to open another person's calendar. See how to assign delegate calendar permissions. Learn how to create a second, personal calendar in Outlook while watching this video. See how to remove the appointments and calendar group that were created during this course and return Outlook to its previous setup.